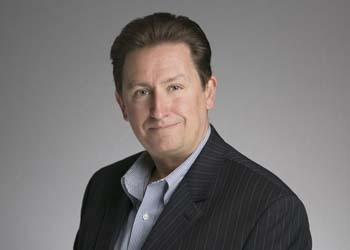 Detroit-based Kerr Russell announced that Roy Sexton has been named as the law firm’s first-ever marketing director. The full-service firm is comprised of 55 attorneys. Sexton returns to the world of legal marketing after a one-year hiatus in the healthcare industry. He is a member of the Legal Marketing Association(LMA) and was a panelist at the 2015 LMA Annual Conference. Sexton is also a former member of the Midwest Chapter Board of Directors and Strategies Editorial Committee. Sexton has held leadership positions in marketing, communications, and strategic planning at Trott Law, St. Joseph Mercy Health System, Oakwood Healthcare (now Beaumont Health), and Deloitte. He is a board member at the Ronald McDonald House Charities of Ann Arbor and encoremichigan.com. He recently completed his tenure on the Michigan Mortgage Lenders Association State Board of Governors and his service on the board of Ann Arbor’s Penny Seats Theatre Company. Sexton is a graduate of Wabash College with an MA from The Ohio State University and an MBA from The University of Michigan.